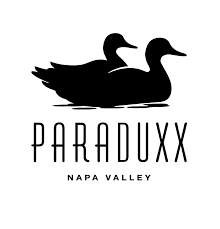 The Paraduxx wine label is part of Duckhorn's prolific family of wines (to be clear, no affiliation of which I am aware to politics of any flavor). Under this label they primarily focus on blends of Cabernet Sauvignon and Zinfandel, sometimes with other yummy grapes included. The C blend is 60% Cabernet and 40% Zin, with 16 months in a mix of French and American oak. Review: This beauty is a deep ruby color with rich aromas of black cherry, plum, stewed prunes, and tart cranberry. The palate is technically dry (but with a hint of sugar to add roundness), with moderate acid and finely grained ripe tannin. Rich black fruit flavors, along with anise, bay leaf, toast, and sweet spice create complexity and intensity. The finish is moderate in length, with lingering fruit and spice. Food Pairing: Seared duck breasts with a cherry (and C blend!) reduction. Bottom Line: Excellent concentration, complexity, and intensity, wrapped up in a ripe, smooth package. Absolutely lovely.